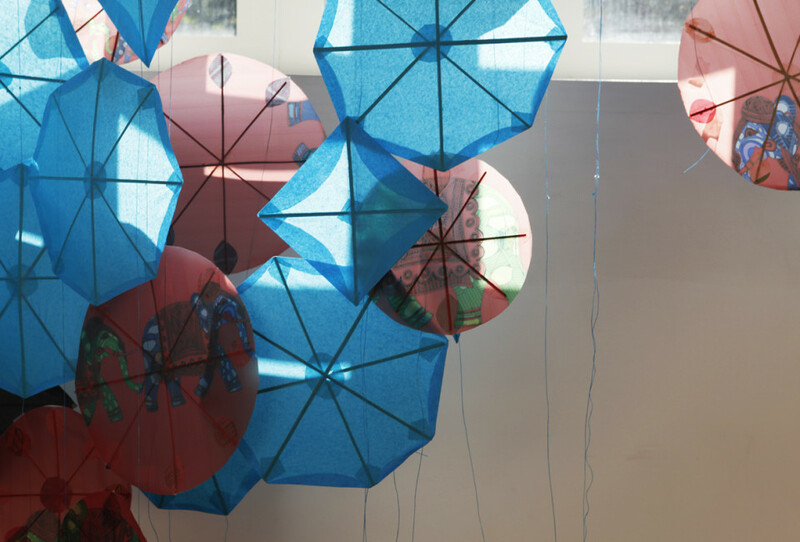 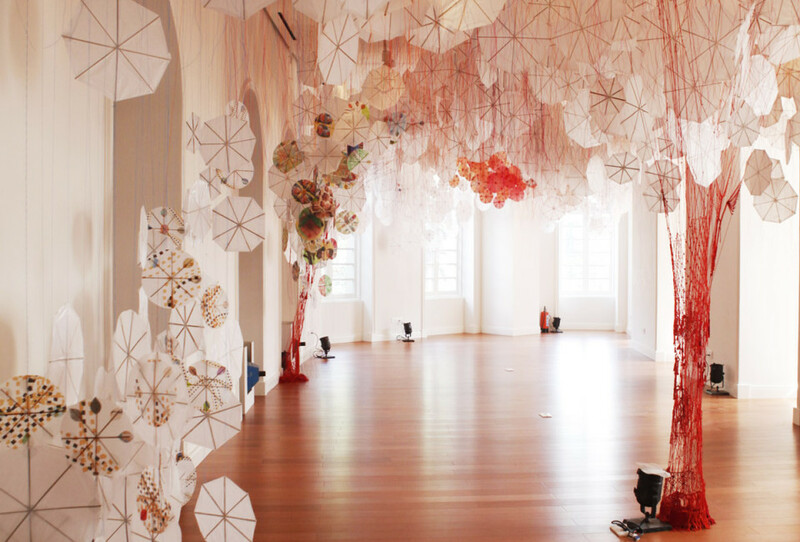 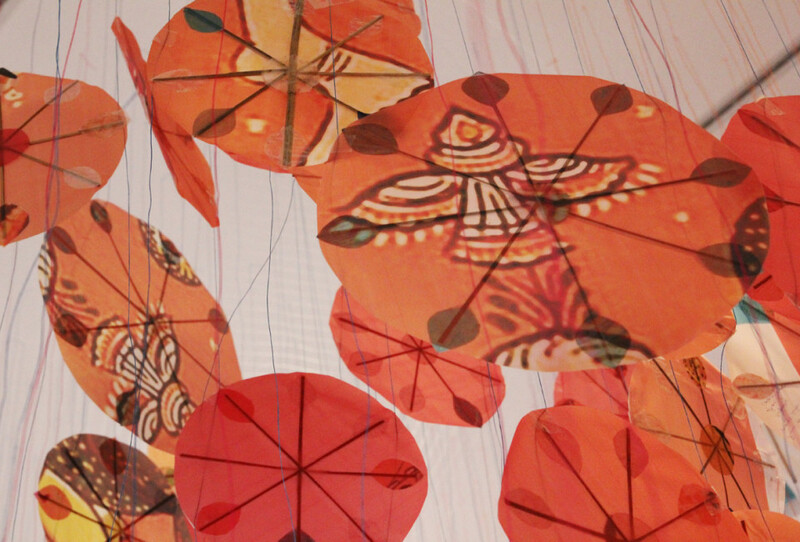 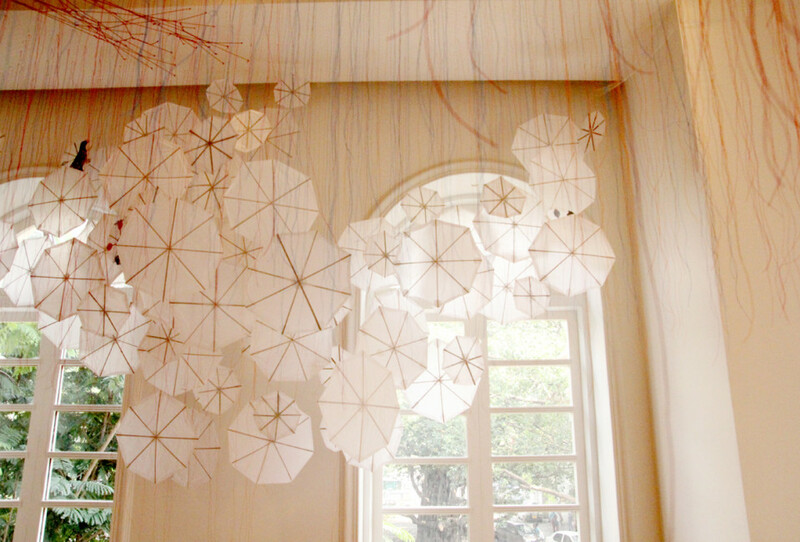 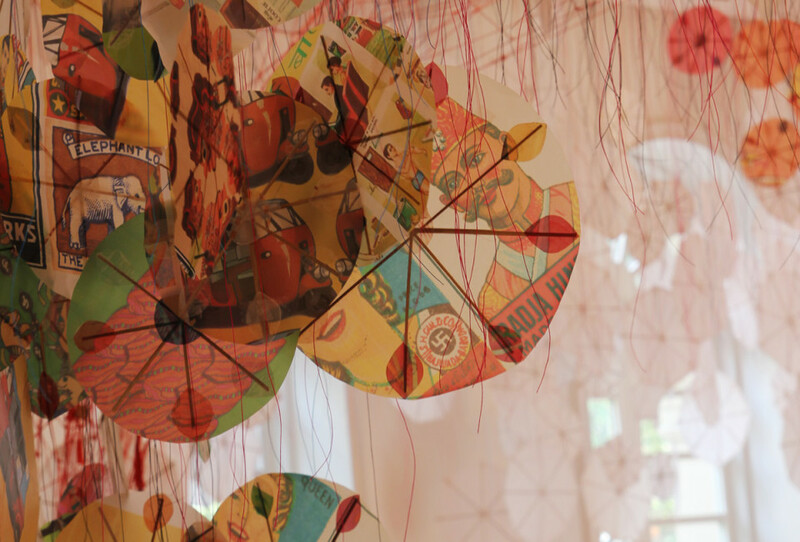 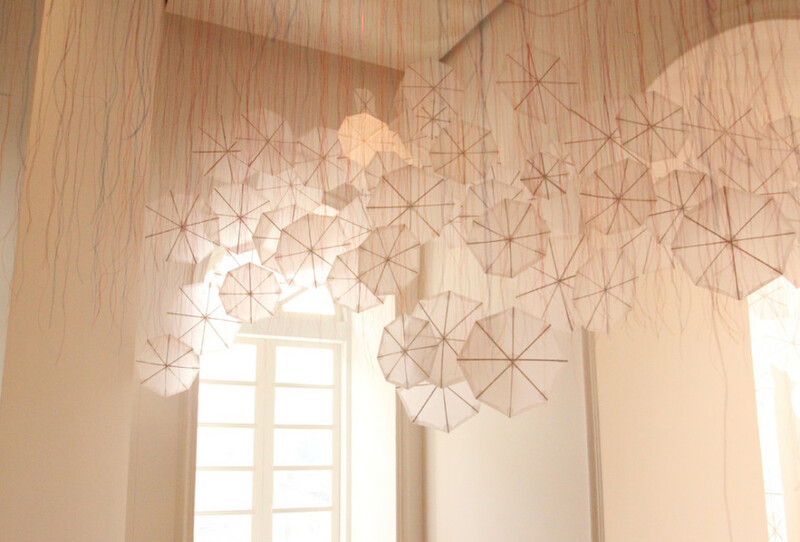 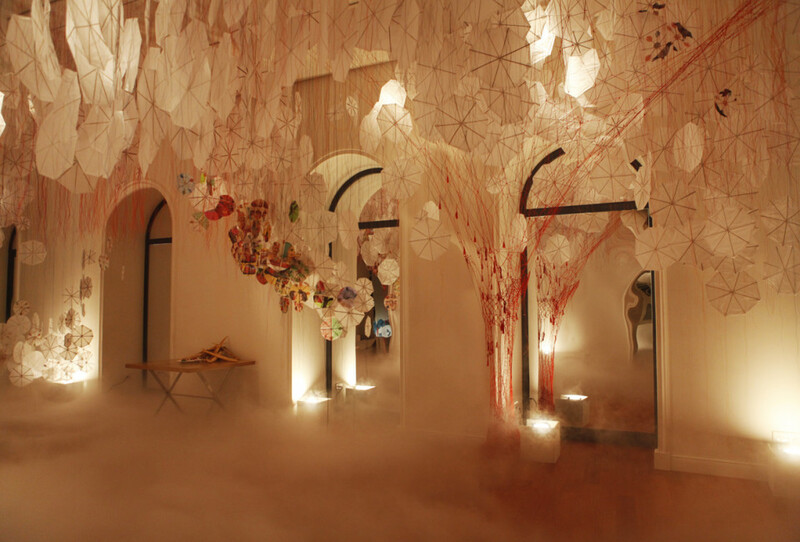 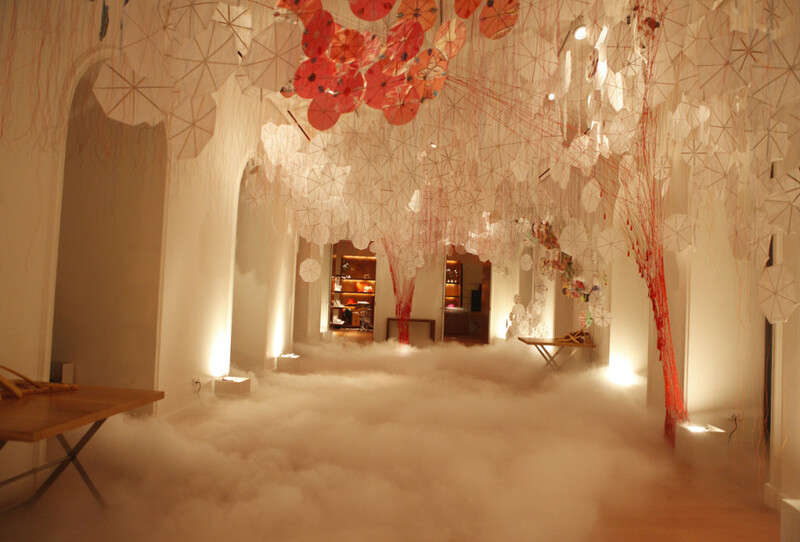 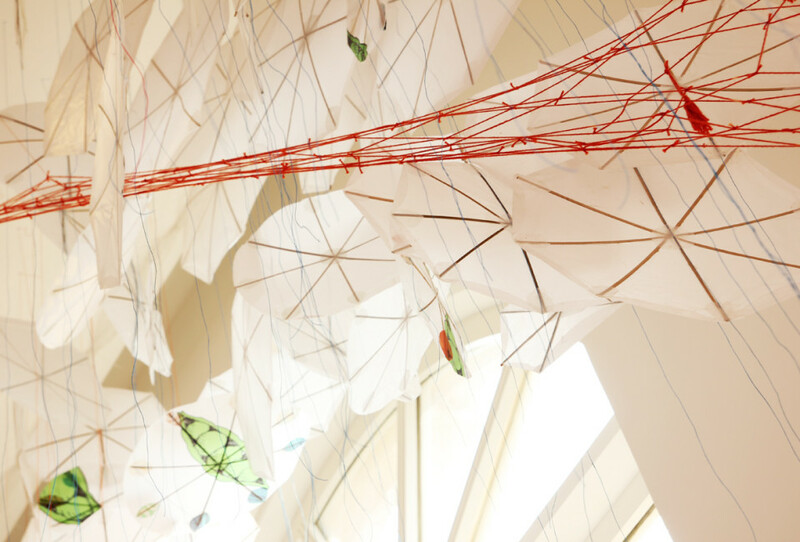 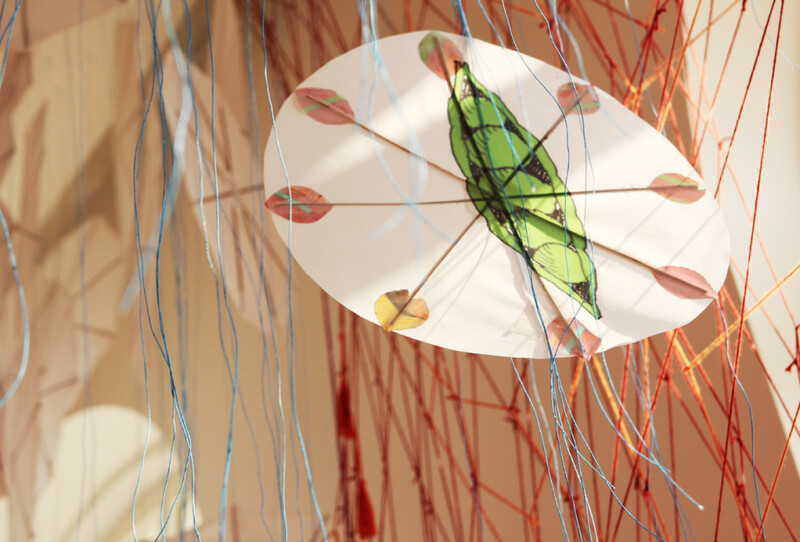 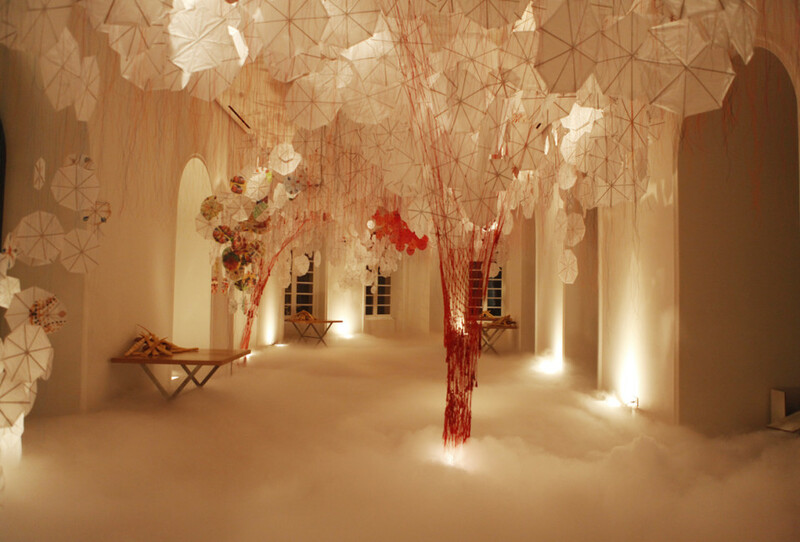 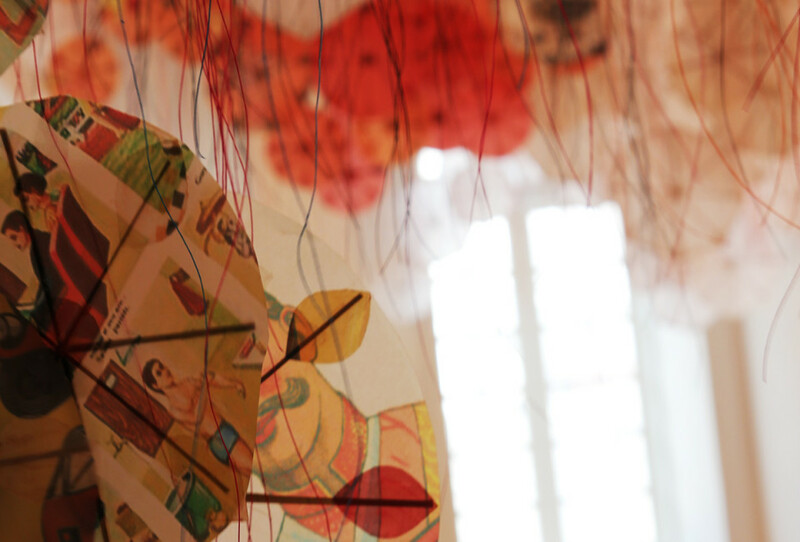 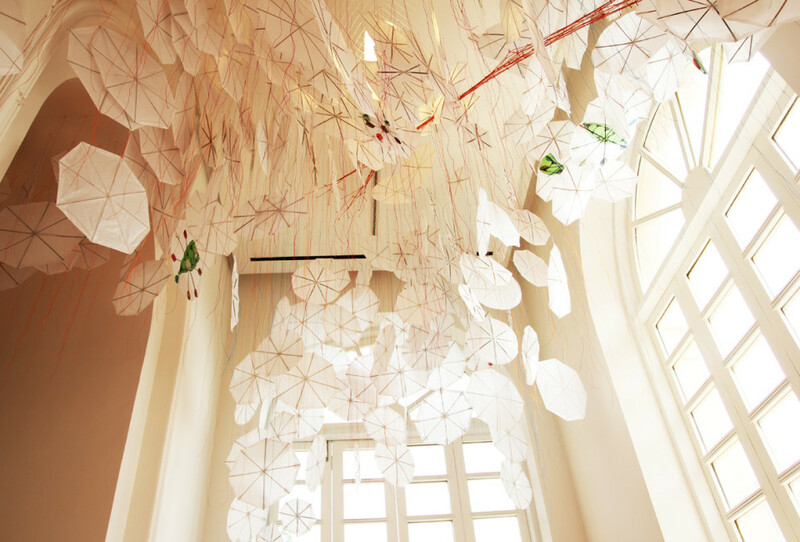 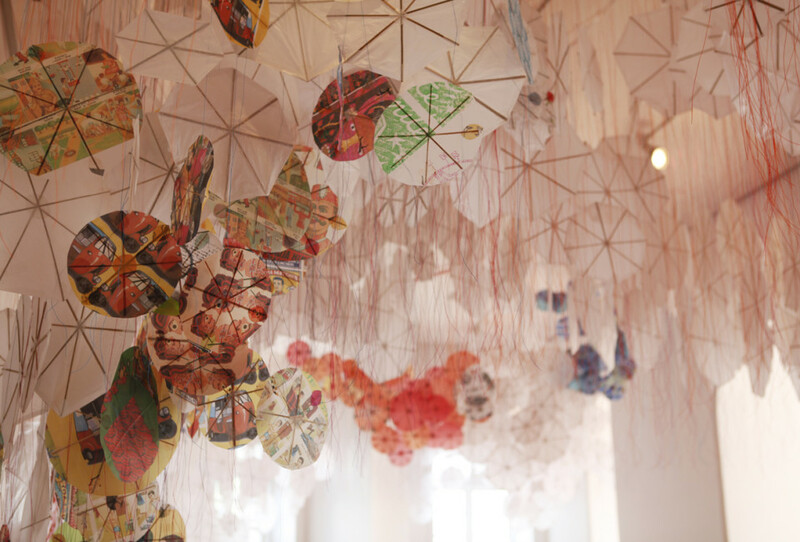 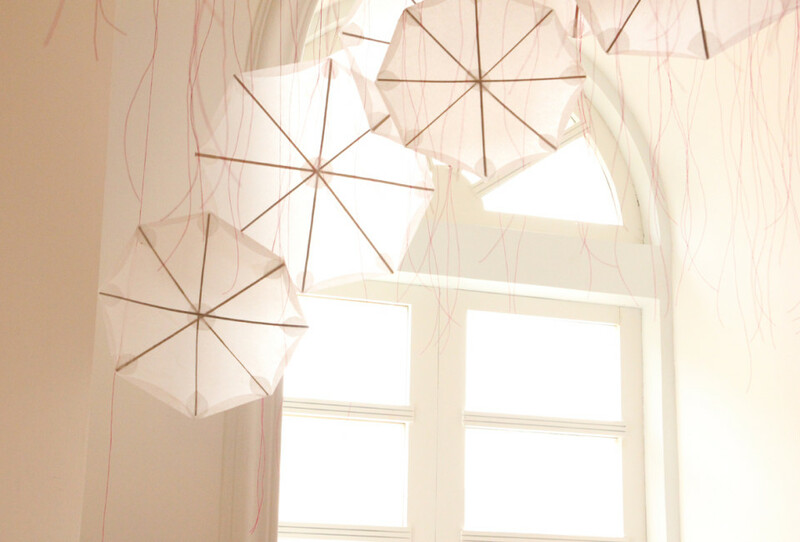 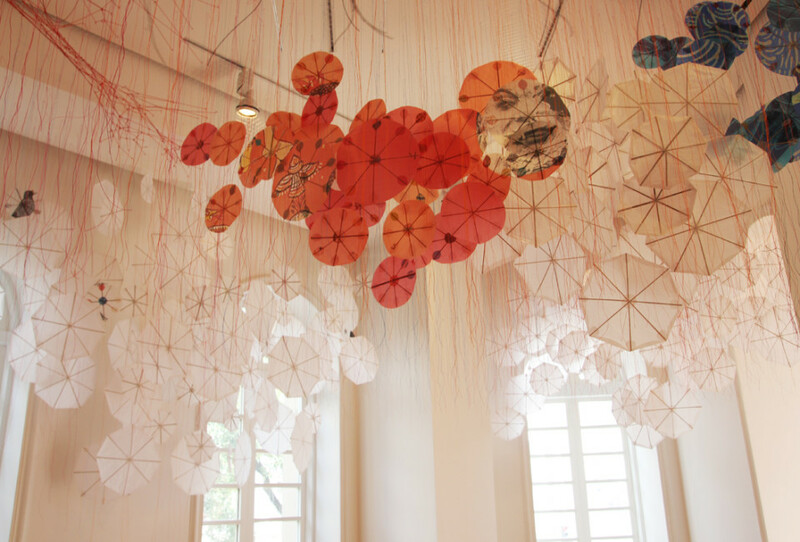 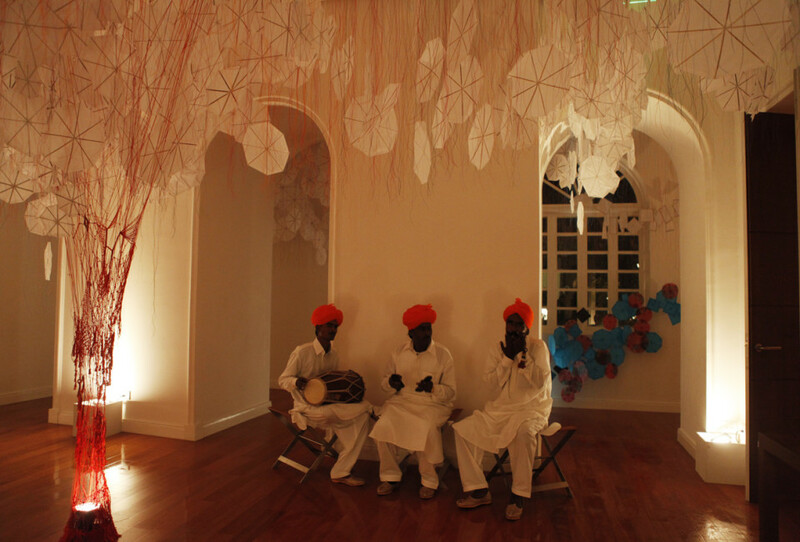 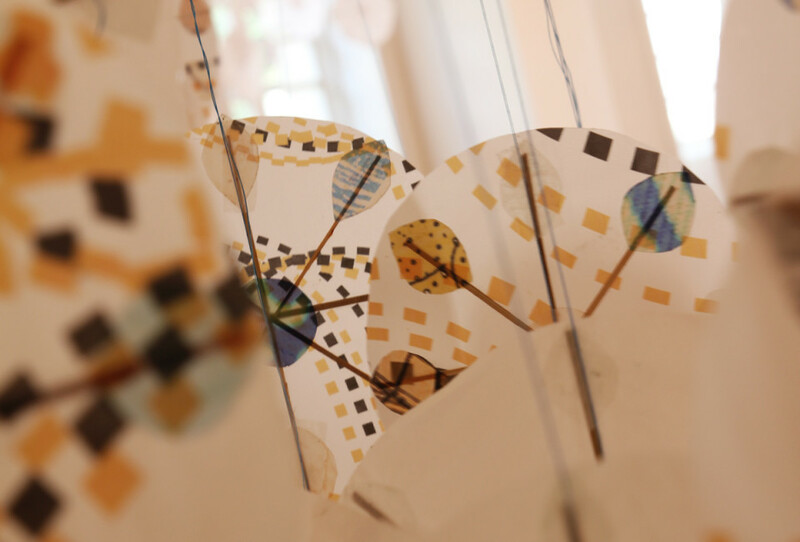 Nandita Kumar created this installation for the Hermes launch party. 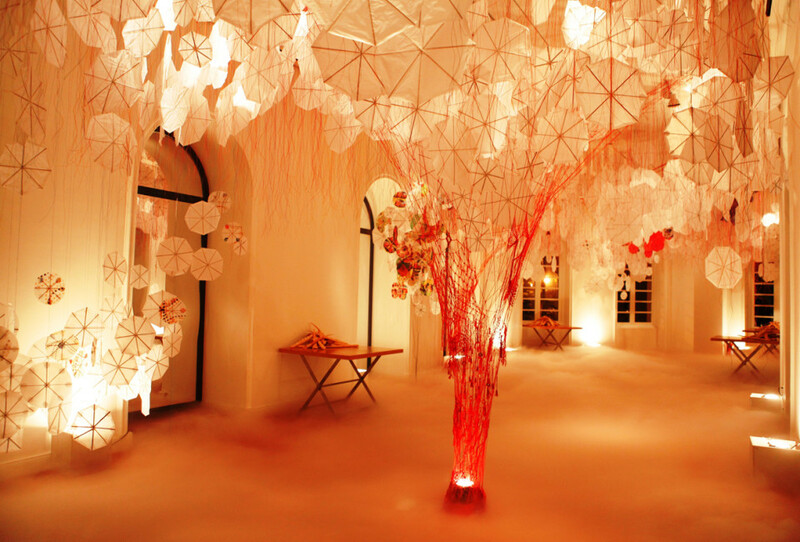 She visualized a contemporary environmental piece which started as an inspiration from one of the dinner sets @ Hermes called the enchanted forest. 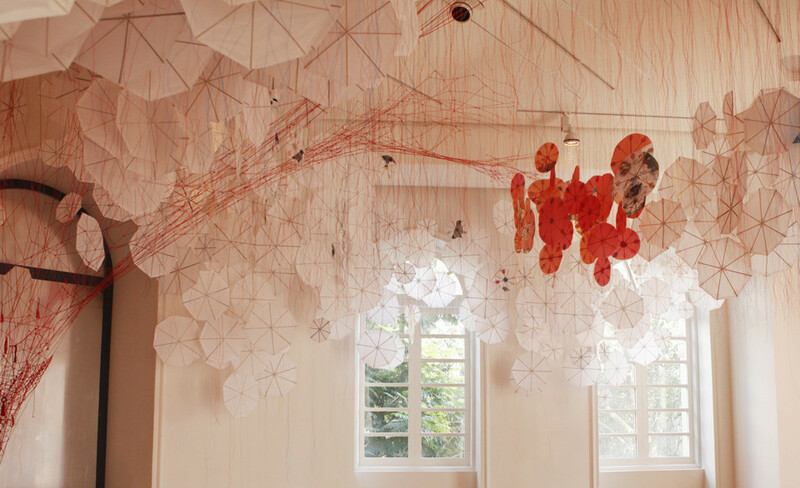 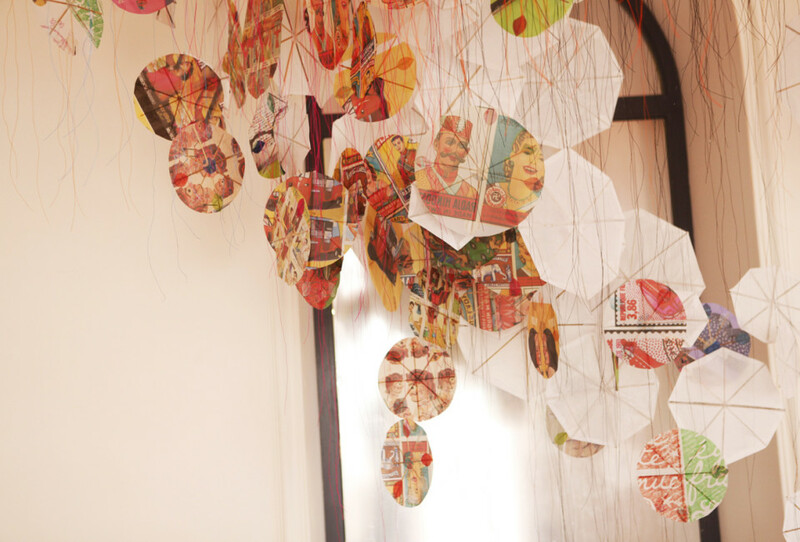 One of Nandita’s main aim was to leave minimum carbon imprint created by this installation. 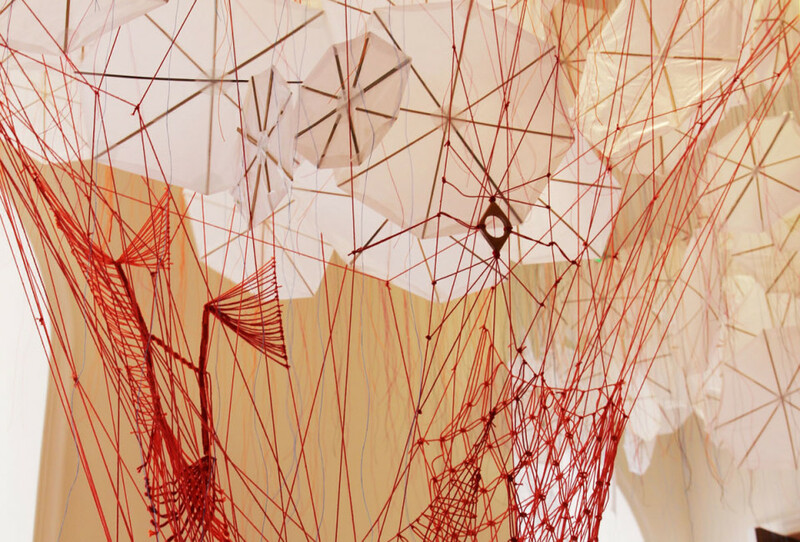 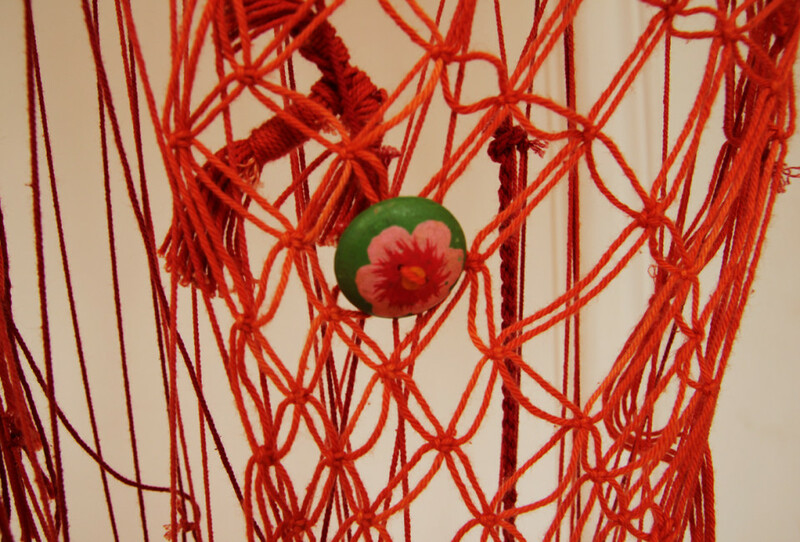 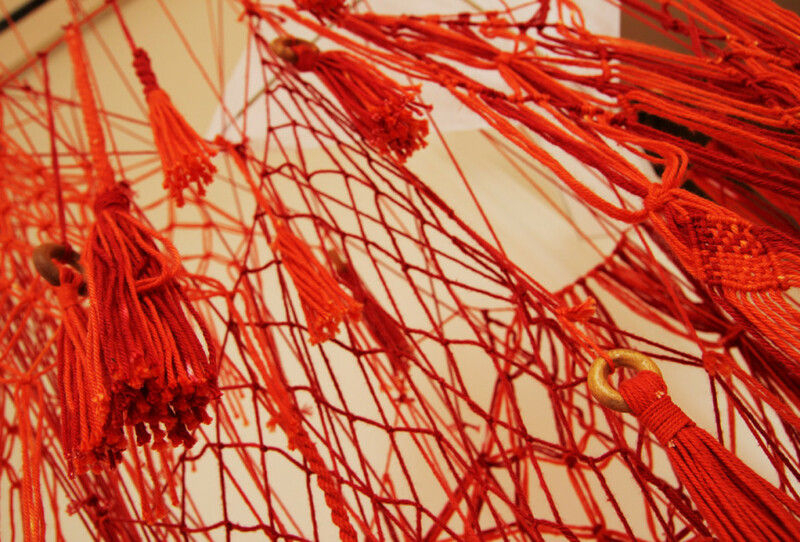 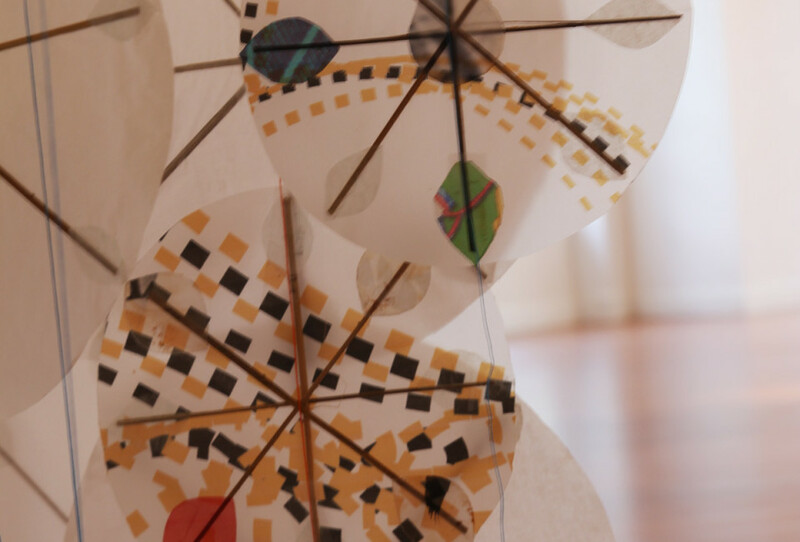 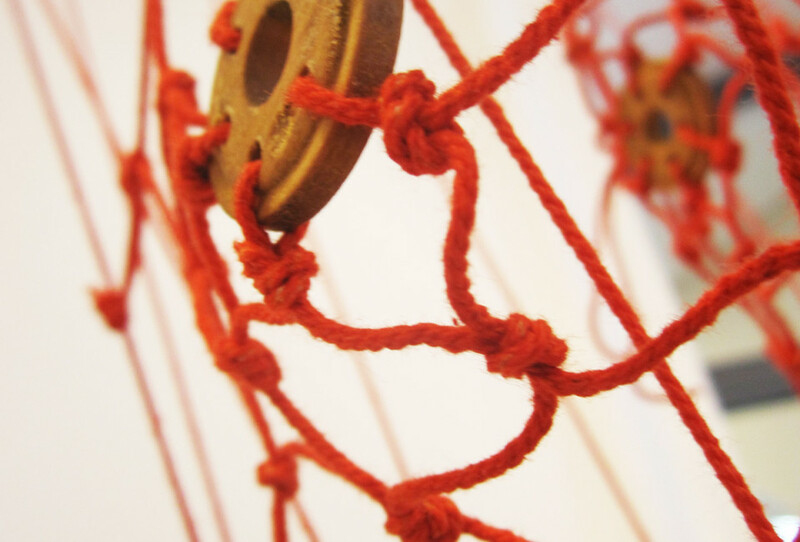 Therefore, a mélange of materials were used such as kite paper,gateway paper, bamboo, kite strings, cotton threads and macrame knot making.